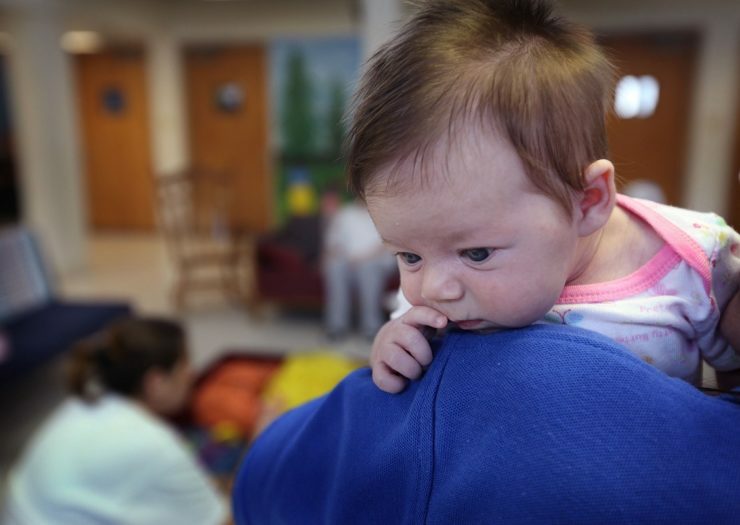 The Cook County Sheriff’s Office (CCSO) this summer drafted legislation aimed at reducing the number of babies born in Illinois jails by providing alternatives to incarceration. With the sponsorship of several Chicago Democrats, HB 1464 cleared the statehouse recently with wide bipartisan support in a 106-8 vote; the bill moves to the state senate, where it’s expected to pass with similar support. The bill would amend the state’s criminal code so that pregnant women who are arrested and likely to give birth before their release or their transfer to a state prison are deferred from jail via counseling, unsecured bonds that don’t require cash or collateral, electronic monitoring (EM), and other alternatives. Keeping nonviolent pregnant women in jail through their due date because they’re too poor to bond out defies common sense, reason, and thoughtfulness. Lots of things in a perfect pregnancy require a lot of different things to change in someone’s life: eating habits, stress reduction, and access to medical care. You don’t want people to do that while in jail. And for the morons who say ‘Well, then [the women] shouldn’t commit an offense’—some of these women are in here on traffic violations. The issue came into public focus this June, when 25-year-old Karen Padilla was jailed while seven-and-a-half months pregnant. Chicago police pulled Padilla over for a broken headlight and arrested her on an outstanding warrant for twice violating probation stemming from a 2015 retail theft. Cara Smith, chief policy adviser to the CCSO, said the case came to their attention because they were looking at people in the jail who had long continuances—court date delays that are common in the Cook County system, particularly where low-income defendants are concerned. The details of this detainment spurred the sheriff’s office to act. “We were left thinking, ‘How in the hell did anyone sleep at night knowing we were sentencing a nonviolent probation offender to give birth to her firstborn in jail?’” Smith said. Cook County Jail, the largest single-site jail in the country, held nearly 300 pregnant women in pretrial custody in the year spanning April 2016 to May 2017. The majority of those women were held in jail before their trial date because they couldn’t afford bail; 17 of them gave birth while in custody. Even though women make up the fastest-growing segment of the correctional population, jails and prisons have yet to really focus on the needs of this demographic. Across the board, jails tend to not have sufficient resources for women’s health; it can be a challenge to get even pads or tampons. There’s really not a lot of focus on pregnant women in particular; there are instances of women giving birth in jail without proper care—and having miscarriages or ectopic pregnancies. The dangers to pregnant women are especially acute in rural jails. They tend to have even fewer resources [and] less staffing; the local hospital might be farther away. One notable limitation of the bill is that it won’t keep all pregnant women out of local Illinois jails—just the ones who can’t afford bail and whose pretrial detention is scheduled to extend past their delivery date. The sheriff’s office conceded that the proposed legislation only targets women likely to give birth in jail and doesn’t address women who spend a significant portion of their pregnancy in jail but are released before they deliver. We are looking to expand this. It is phase one of sorts; we’re looking at ways to address pregnant women in general, but wanted to start here, since [giving birth] is one of the more traumatic experiences a woman can experience in detention. Randall said judges or the county health provider are likely to be the ultimate arbiters determining a pregnant defendant’s risk of giving birth in jail; in Cook County, for example, the Health and Hospitals System or Cermak, the jail’s health facility, will determine which women are at risk. There are currently no states that have laws specifically aimed at reducing the number of pregnant women in jail across the board. And while the number of women likely to give birth in jail custody is estimated to be small, Dart said the effect of a single jail birth can be significant for the child, the mother, the community, and taxpayers. “If you can do anything you can from avoiding a child being taken away from its birth family and given to a foster family, you better do it,” he said. Dart also anticipates the number of births in his jail will drop dramatically following a Cook County judge’s July order to reform cash bail. His proposed legislation is aimed at the rest of Illinois’ counties, where pregnant women are still likely to be held in pretrial custody because they’re too poor to afford bail. “A lot of this is out of the control of sheriffs because a lot of things come into play before their role, like the arrest and the charges,” Swavola said. Forcing a legislative issue would ideally create systemic changes at varying levels of law enforcement and the criminal justice system, ranging from the kind of charges and sentences prosecutors recommend to alternative measures judges could pursue instead of incarceration. Dart said that he’s leaning on his past experience as a prosecutor and lawmaker to come up with alternatives to incarceration that state legislators and district attorneys can get behind. Instead of pretrial detention, Dart suggested pregnant women who would otherwise be at risk of giving birth in jail while they await their court date could be given r-bonds, where an arrestee is released on their promise to return to court, or i-bonds, where an arrestee pays no money for release, but faces a cash penalty if they fail to appear in court. Swavola and Riley support alternatives like pretrial supervision and voluntary treatment or services. They generally discourage electronic monitoring, one of the most well-known alternatives to pretrial detention, because it can be overly restrictive for pregnant women who may need to make unscheduled doctor visits, errands, or visits with family. In some jails (though not in Cook County), individuals must also pay for the use of a court-ordered ankle monitor. Dart conceded that electronic monitoring isn’t a perfect solution for diverting pregnant women from jail, but noted that if it is necessary, the jail can shut off the monitor for periods at a time so that women can visit the doctor, go to work, or even visit with family. “We can be really flexible, but EM is definitely not the first choice as an alternative to incarceration,” he said. Smith, the sheriff’s chief policy adviser, expressed confidence that the team’s proposal will pass.